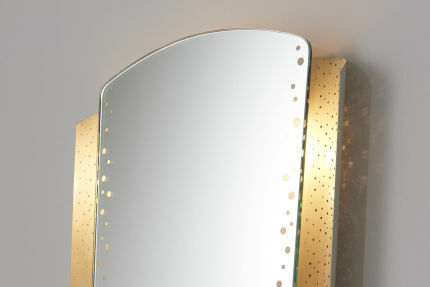 A large backlit mirror, held by brass brackets. 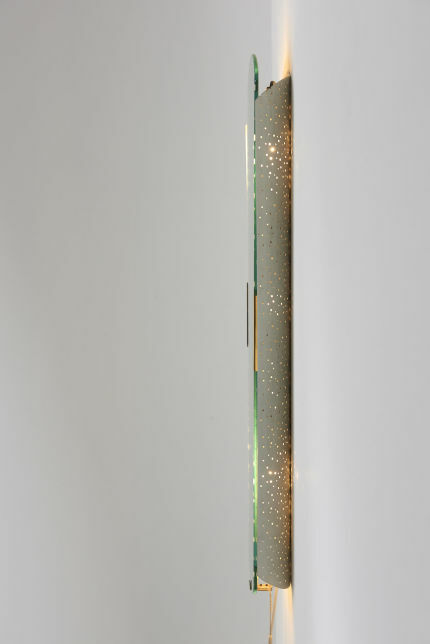 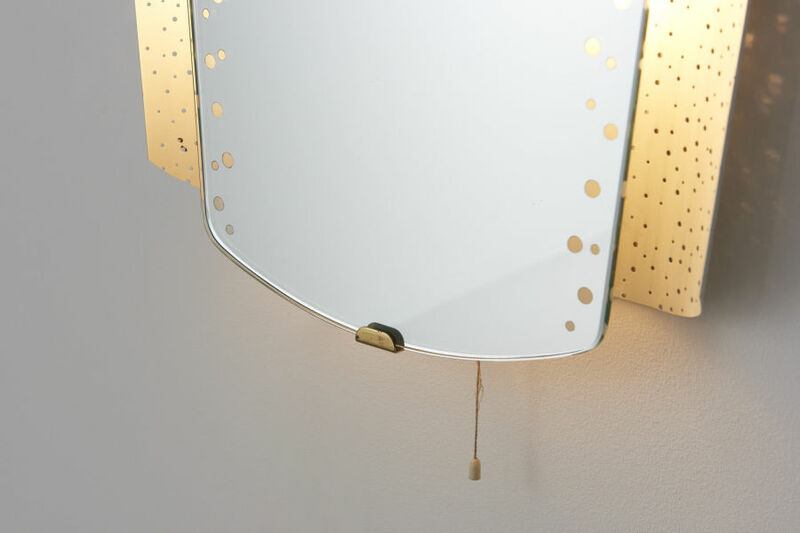 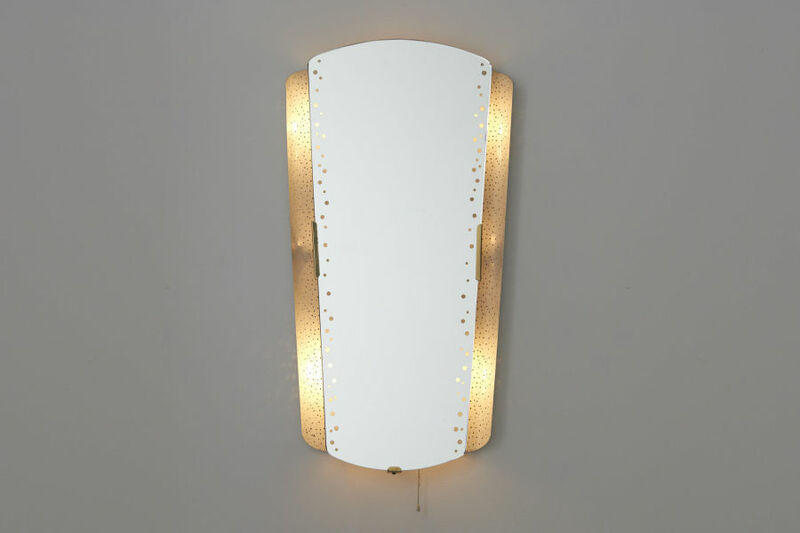 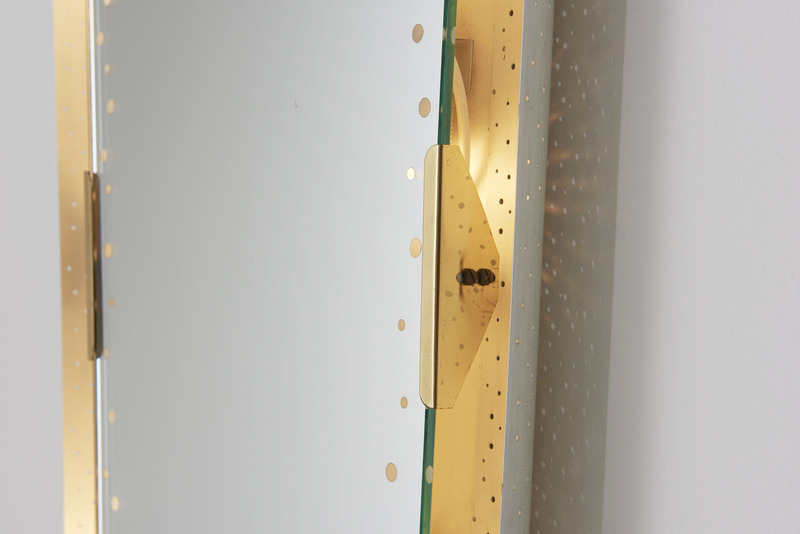 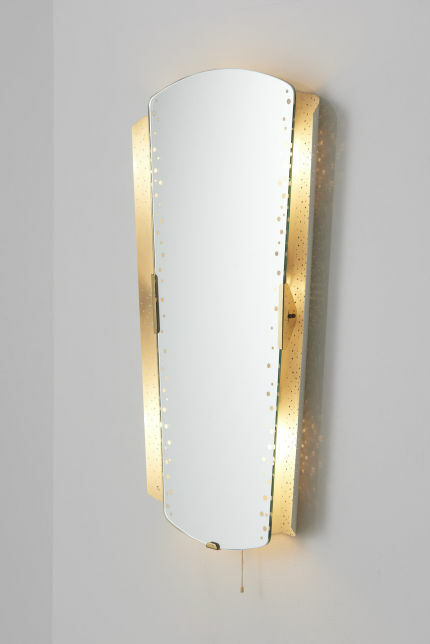 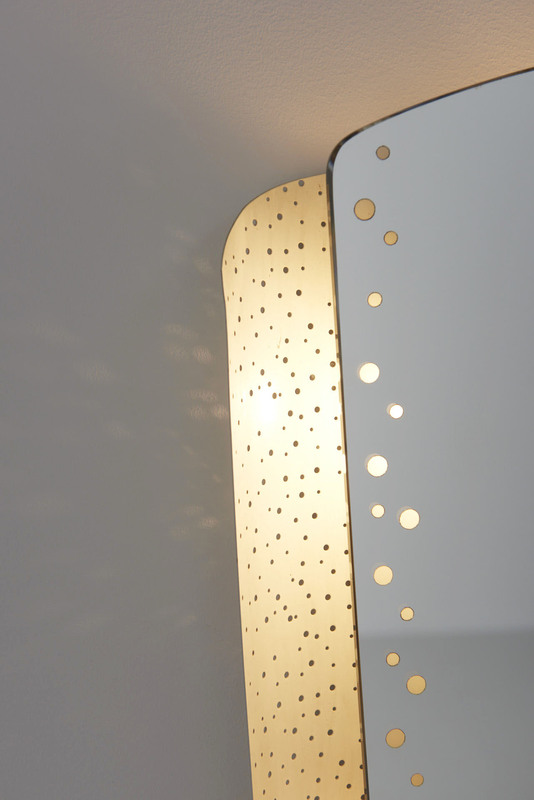 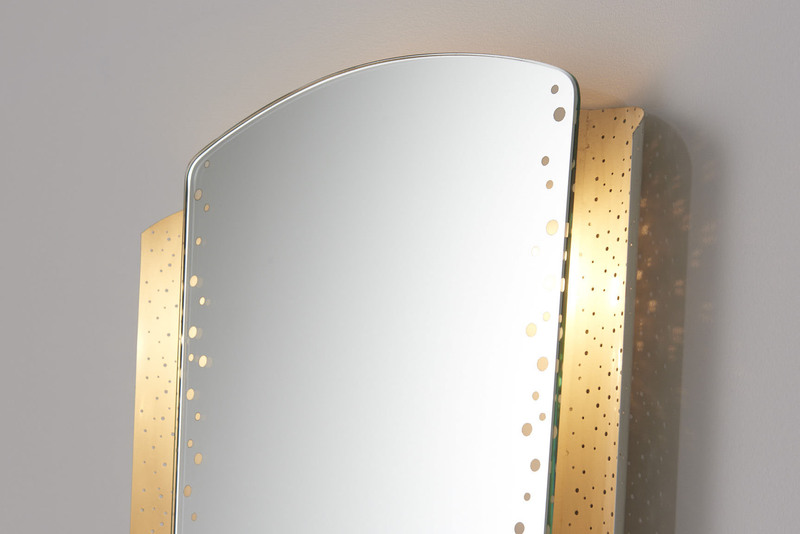 The light is reflected by a curved perforated plate, and shines through the dots in the mirror. 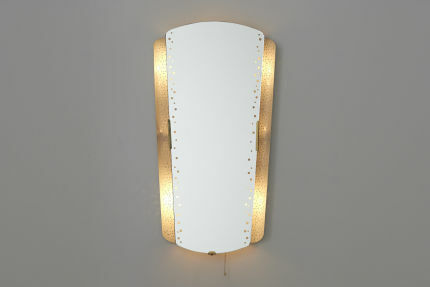 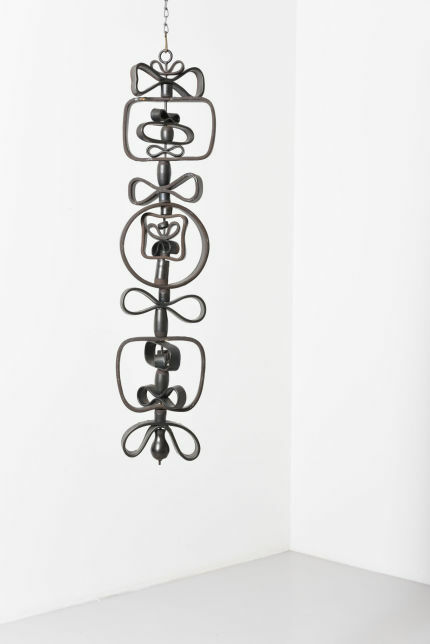 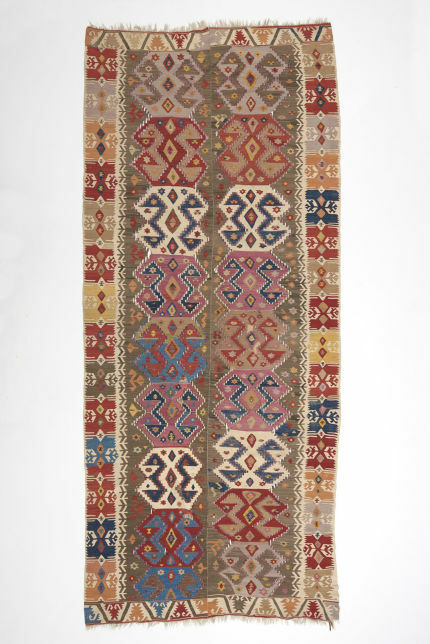 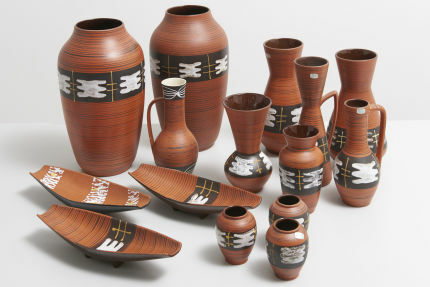 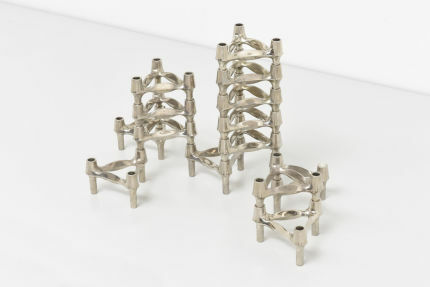 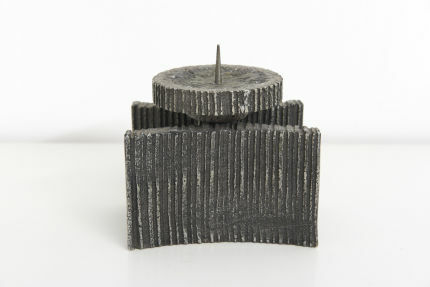 Designed in the 1950s by Ernest Igl and made by Hillebrand Leuchten in Germany. The mirror holds 6 E27 sockets and is rewired.